Online Shopping Finds: 4 Useful Gifts You Must Buy for Babies! Do you have close friends and relatives who just got their own babies? Well, for sure, if you’re very close to each other, you will be asked to be one of the godparents. If not though, you’re still a lovely aunt or a handsome uncle, and giving good gifts to those adorable babies is something that doesn’t need to be mentioned but just done — it’s how it works in the world. Although it’s a bit tough to look for and purchase gifts for babies, it’s also a delightful thing to do. 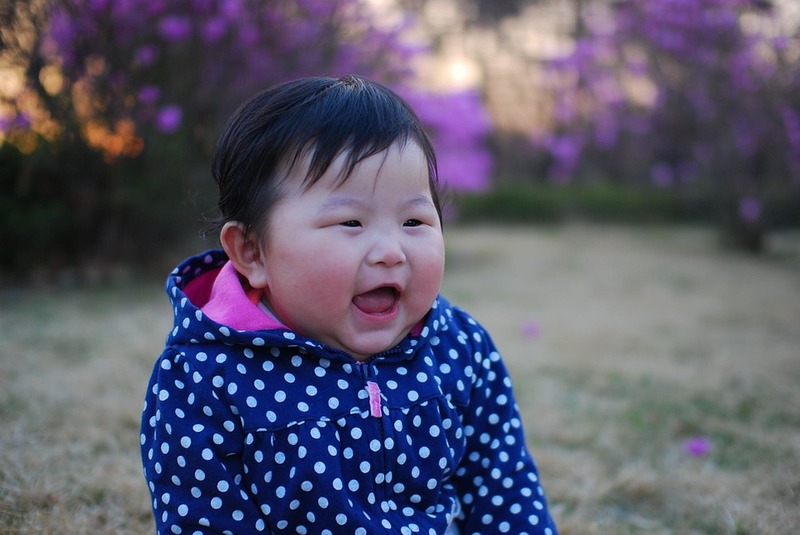 Baby products are small and darling, and it’s fun to choose! If you are buying a gift for a newborn baby, you might be thinking of giving the commonly practical gifts such as a bag of diapers, a box of milk and so on and so forth. Those items are without a doubt beneficial for the parents; it’s a less from their expenses. While you can also buy those, think about buying something uncommon like this pillow made specially for a newborn baby’s head. A newborn baby’s head is soft and fragile as his/her whole body. 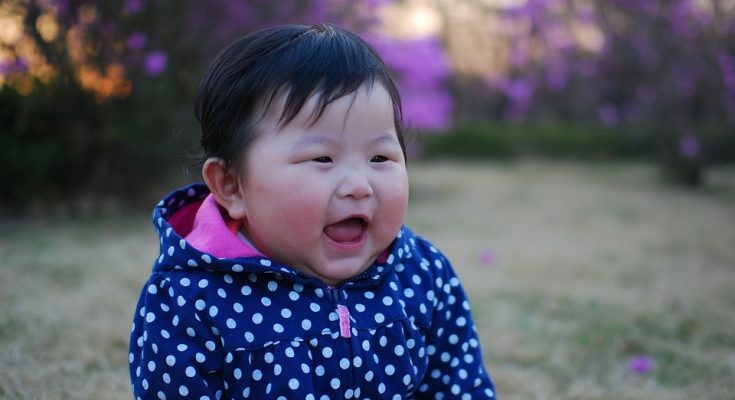 Some infants’ heads become flat as they grow up. With that, this newborn baby head pillow is made to help bring flat heads into their proper shape and alignment. 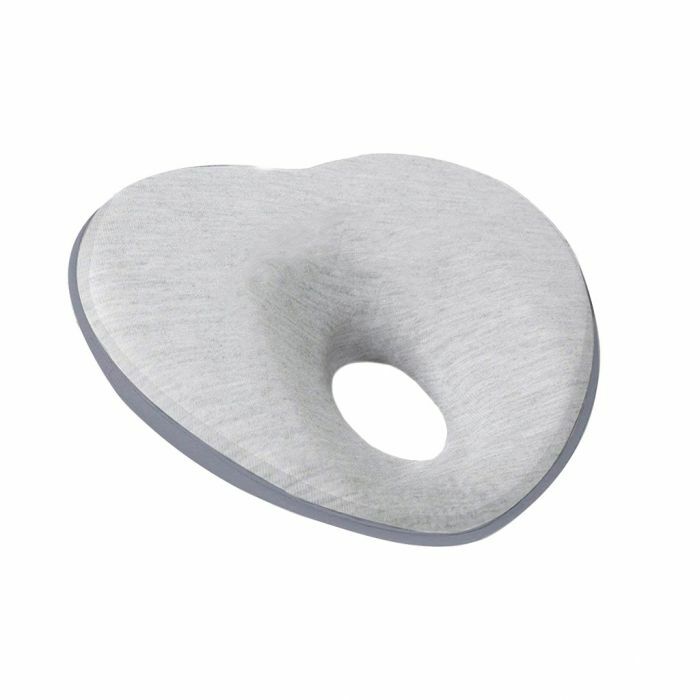 The contoured pillow center functions as a support to the baby’s head, so that eventually, it will develop into a corrected round shape. The memory foam cushion used is safe from bacteria and other allergy-causing particles. It’s design is surely perfect for a comfortable sleep and rest for baby wherever his/her parents bring him/her. For baby’s correct head position and pleasant sleep, here’s this newborn baby flat head syndrome prevention pillow! Grab your gift now! Babies are attracted to bright colors and light. They’re something that feel tickling to the senses. They look nice and comfortable, and they appear “friendly” to babies. This luminous music throw pillow is absolutely a special gift that babies will find fun and exciting. Well, they might not use words to say that, but their smiles and glowing eyes will do it for them. This throw pillow is not your typical couch pillow in the living room because it lights up brilliantly and plays cheerful music. Babies can play with this while it’s very safe as a pillow. Made of ultra-soft polyester material, it would be a favorite toy to cuddle. Even parents will love to put this in their bedroom and even in the living room. It adds creativity and joy. The smiling face also makes this pillow even more lovable. 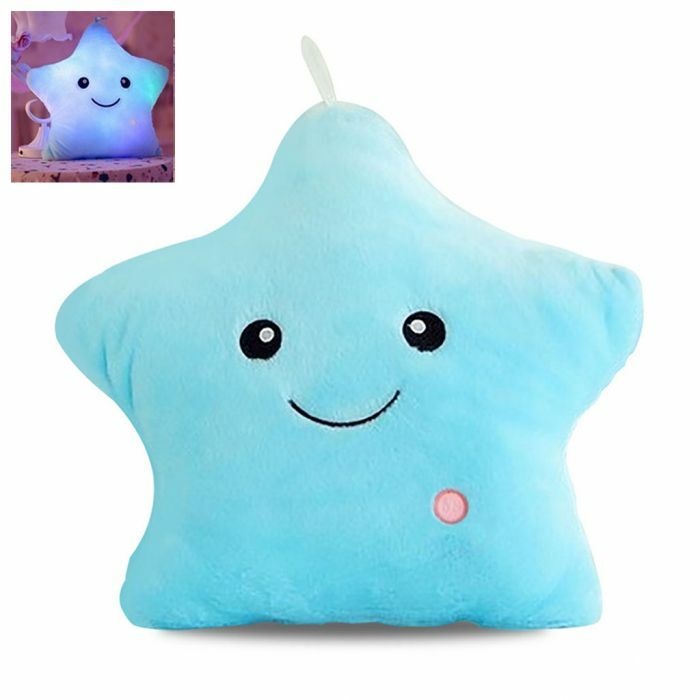 This cute star-shaped pillow is not just visually appealing, but it is also environment friendly for it uses LED, thus, it’s energy efficient. Most importantly, it is safe to use, especially for little kids, because LED is said to have several health benefits such as relieving stress and anxiety. If you want something that’s both very useful and very entertaining for the baby, out of harm’s way, look for this pillow in various online shopping sites, and find the best picks you could get. Babies’ comfort, safety and protection are top priorities. That’s what you must think about when buying a gift for them. When asleep or awake, babies need to feel secure and be secure. They need to be comfortable and without annoyance around, or else, they will feel irritable. Nobody wants it when a baby gets irritated because you know what’s next. Bedroom essentials could be great gifts for babies. They will definitely be used so often. Choose a knitted throw blanket for babies. They are perfectly made for babies and little kids because of their size. Scan through online shopping sites, and look for those that have cute and lovely designs that babies will love to see. Those with animal designs are probably eye-catching for them. The blankets shown in the photos are among the nicest picks you should buy! They’re simple but that’s what makes them precious! They have 3D ears which babies will surely find fascinating. It can be a one of a kind design for the playroom. It’s safe because it’s breathable and not irritating. It’s very cozy since it’s warm. 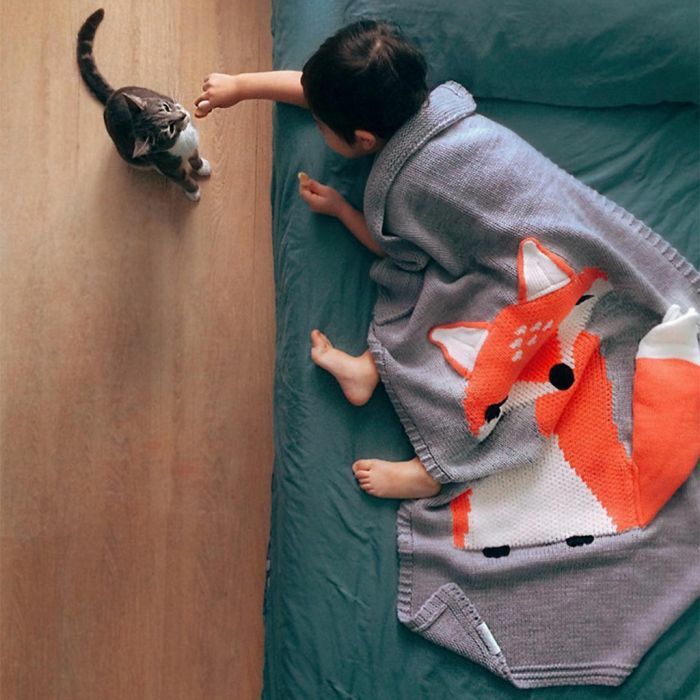 Parents can bring this knitted throw blanket for their babies wherever they go and whatever season there is. It’s light and easy to carry! Take one of these knitted blankets as a gift to baby, and you’ll really love how they’ll love it! It is a challenge for parents and guardians to bathe babies because of many reasons. Babies are playful and full of energy. Some are afraid of taking a bath. When bathing them, parents have their own strategies for a peaceful and successful baby bath. Do something amazing for parents and their babies’ bath time by giving them this waterproof shampoo cap. The worry of parents will be reduced and even eliminated because of this advantageous and unique baby shower hat. It has earmuffs which definitely secure baby’s ears from liquid that might get in, but the baby’s hearing is still normally fine. There’s no need for the baby to close his/her eyes while taking a bath because this cute shampoo cap will do its thing. 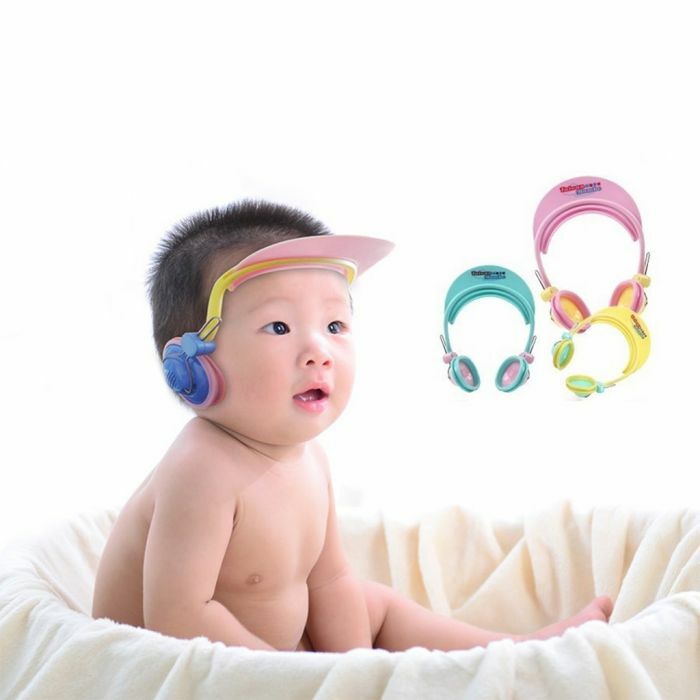 Its 360 degree adjustable feature is perfect for eyes and ears protection. As convenient as it is, the tightness can be easily modified according to baby’s comfort and head size. That feature makes it even more flexible because it means other babies can use it too when the baby has grown older. Made with non-toxic material, it’s a gift you can give and you’re sure it’s safe for baby’s health! The above-mentioned products are for the baby’s use, but do know that the parents appreciate those gifts so much. It’s for their own convenience as well. They don’t want to get worried about their babies’ safety, and they want them to enjoy their gifts as well. If you’re about to go online shopping, look for these products because they’re surely good picks that’ll nicely add to your undecided options. They are definitely helpful and not those stuff that parents put aside after. Happy wise shopping!